Recently, important news came from a severe metal 3D printing market. 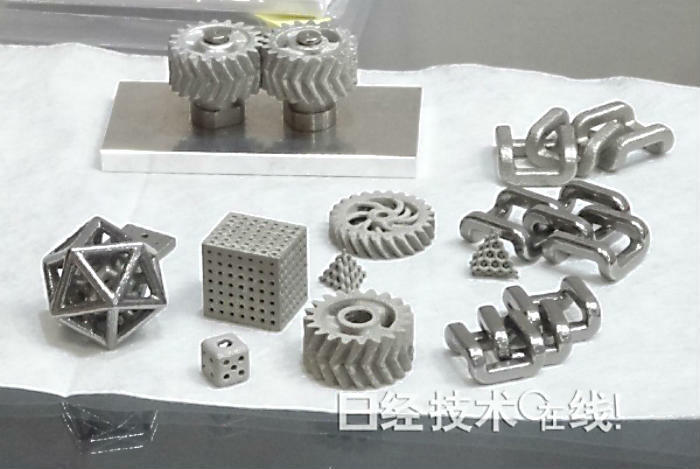 Tokyo-based technology company Ricoh has unveiled a new highly efficient metal 3D printer producing metal injection molding obsolete. The gadget uses a resin binder to sinter metal particles together in a sophisticated 3D printing process. The printer isn’t geared for home use, so you won’t be able to print kitchen knives or door handles. But Ricoh is still investigating weather to commercialize the 3D printer or to use it for 3D printing services. We should mention here, that the market for metal injection molding is growing fast, and Ricoh—a well-known technology developer known all around the world, specializing in office imaging equipment, document management systems, production print solutions and IT services—tries by this new gadget to ride the wave in the 3D printing industry. The model has been shown at the 27th Design & Manufacturing Solutions Exhibition at the Tokyo Big Sight International Exhibition Center held this month together with several 3D printed objects made with its help. This entry was posted on Tuesday, June 14th, 2016 at 10:14 pm	and is filed under 3D, printer, Ricoh. "World’s Smallest All-In-One For Home"